Given that Mexico is a crucial linchpin in the international drug trade, I can understand why officials would be cautious. I mean, people will do anything to get their drugs across the border; if Jesus isn’t safe, nothing is safe. That’s why, when border police 72-year-old Okoronkwo Umeham was searched and some suspicious herbs were found on his person, he was detained. As it turns out, he spent two days in Mexican jail over soup mix. He was traveling from San Diego, where he works as a social worker, to Tijuana, where his younger cousin, Xavier Nnanna Nwafor, lives. He was bringing along the makings for ugu, a spicy soup popular in Nigeria. 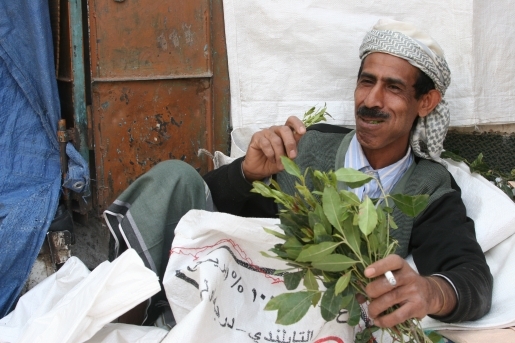 Unfortunately, his fresh spices got mistaken for khat or qat, a popular stimulant among Africans. Thanks to the language barrier, Umeham, a naturalized American citizen, couldn’t explain himself. Two days later, after some testing (probably in the cafeteria), Umeham was released without so much as an apology.